Here is a well built fully concrete factory building located near a main thoroughfare in Quezon City that’s recently in the market for sale. This three-storey with basement was used for four years and excellent potential for expansion or conversion. 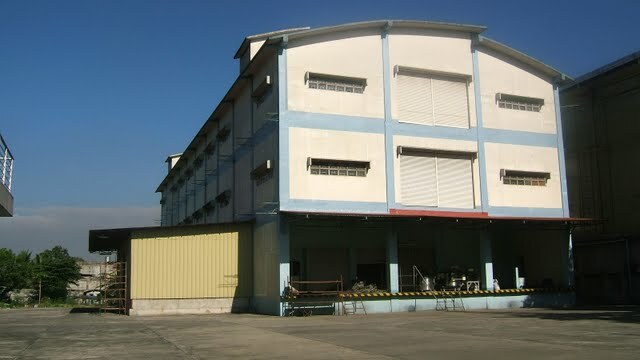 Formerly a food manufacturing factory, this three storey structure with a basement has a total lot area of 5000 square meters and a floor area of 4500 square meters. Each floor has a supervisor’s room that could oversee the production of that floor! Superbly built by the owner, this building comes with two freight elevators, high ceiling, loading docks and three phase electricity. There is also so much room on the lot for future expansion. In addition, two structures were built for their office use and the other for canteen operation. Great for factory, warehousing, logistics and even a call center as location is near commonwealth avenue and tandang sora. Reasonably priced at Php 165M and subject to the best offer ! for further details and appointment for private viewing, please call our office. thanks and regards.